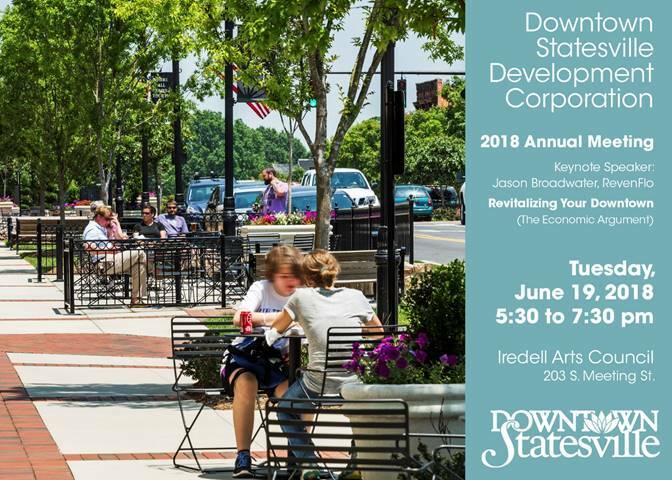 Jason Broadwater will be the keynote speaker for the Downtown Statesville Development Corporation Annual Meeting on June 19, 2018. There he will share the economic argument for why communities should revitalize their downtown. The missing piece for many communities is the broader perspective on how downtowns are connected to the larger economy impacting a city’s success as a whole. In particular, how does a revitalized downtown affect workforce success for a city or county? Jason will focus on how the downtown is at the center of the new economy and the success of an overall community, and what we can do to leverage it. The event will take place at the Iredell Arts Council. More event details and registration here. Share the post "Jason to Speak at DSDC Annual Meeting"